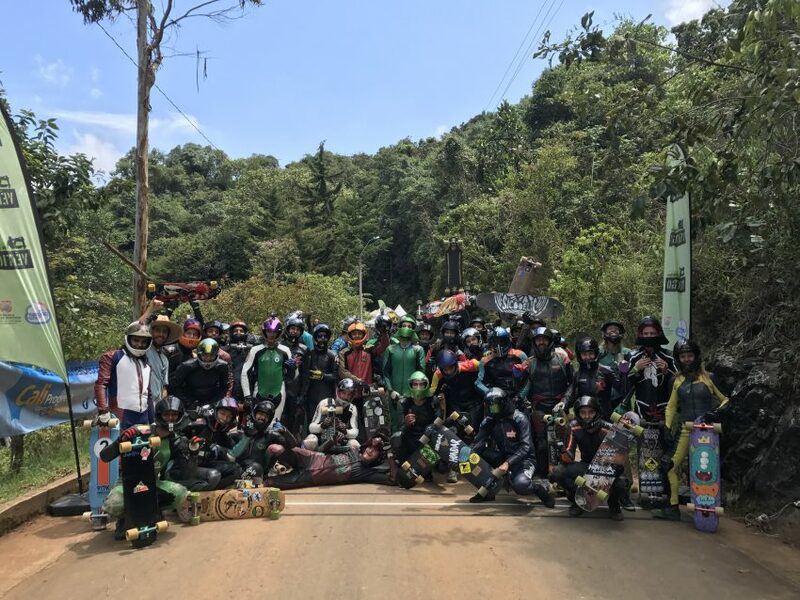 A growing image that Colombia is being known for in the world of downhill skateboarding is for serving out some Colombian style stoke at it’s annual World Qualifying series race. We are at that time of the year again, the Colombian mountain ranges fire up the start of the South American tour with La Leonera DH 2018. La Leonera starting line today, 9 countries from all over the world. Most runs were taken in packs and most definitely tomorrow will be different with qualifying day settings and scenarios being in full effect. 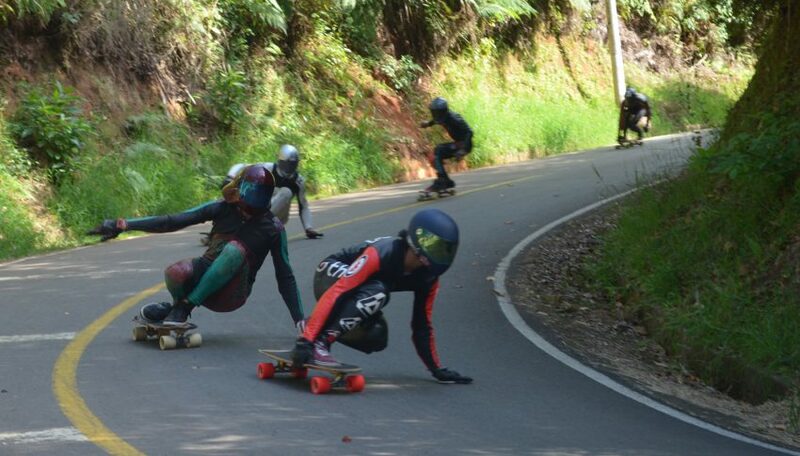 A good day of Sun and skating gave riders 10 runs down the La Leonera track with 8 timed practice runs (link for practice timed runs). Although times today do not count, it was no surprise that the highest ranked racer in attendance took today's fastest practice time; current World rank #5 Harry Clarke (AUS). In form South American Santiago Espeche (Argentina) was also on 2:16. Defending home in 3rd and in 4th respectively are Esneider Osorno (COL) and Felipe Marin (COL). 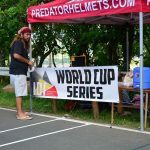 Current World ranked #7 Daniel Engel (USA) was contented with wearing his transponder just for a single check run.